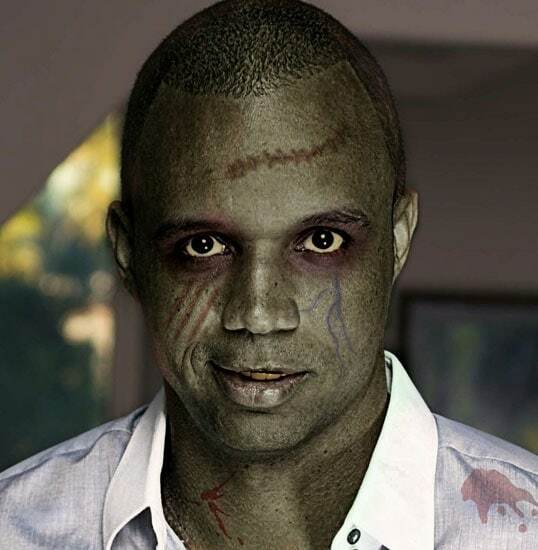 Had a rough day, Zombie Phil Ivey? Actually, your sly half-smile makes me think you’ve had a pretty good day. Still, put up your blood-soaked feet and take a break with my poker humor. Have you ever watched a major poker tournament on TV? They’re populated by a bunch of sedentary men (and sometimes women) with lucky charms pretending to have the nuts while wearing sunglasses indoors and pushing stacks of circular discs around green felt. Some people will actually argue that this constitutes a sport. What doesn’t make poker humorous? The poker circuit is filled with more eccentric characters than a Star Trek convention. Yet in poker we highlight hiding emotions and character. An average poker hand might have you using third-level thinking to decipher your opponent’s hand range and size a mathematically-inappropriate bet. Heavy stuff. Lighten up a bit, take a break from deep thinking, and laugh at the absurdity of my version of poker humor. A serious game deserves serious laughs once in a while. This is a game that once had one of its featured stars berating other players for being morons while he sat in a Roman emperor costume. If that isn’t poker humor than what is? 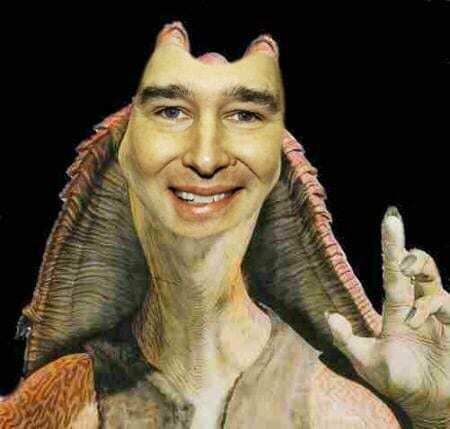 Jar Jar Phil is READY for some poker humor. I promise… it gets better. Actually, no. No it doesn’t. What is your poker humor like? With any (hopefully) funny poker humor feature you’re guaranteed to get an epic win! Or is it an epic fail? Sorry, I’m 10 years behind on my Internet memes. My poker humor formula most often goes something like this: crude Photoshop skills + funny pictures of poker pros + absurd creative writing = a new feature on BTF. Think of this section like a homemade cake made entirely by your 4-year-old. It will make you smile, is quite messy, and will likely nauseate you if you consume too much. Enjoy the salt/pepper/butter/cinnamon/ice frosting!